This review first ran in the Oct. 22 edition of The Hamilton Spectator. Ask how my day’s going at work and I’ll tell you that I’m living the dream. Now some folks think I’m being sarcastic. But it’s the gospel truth. At the midway mark in my career, I’m in a job that lets me play to my strengths, be in the company of great people and make some meaningful contributions. Are you a happy camper at work? Or has your career stalled? Are promotions passing you by? Are you overwhelmed with work and burning out? Do you have a nagging and foreboding sense that there should be more than this? Do you spend all your waking hours and sleepless nights trying to find a way of spinning your favourite hobby into your dream job? After all, we’re constantly told that if we do what we love, the money will follow. Don’t tender your resignation just yet. Azzarello says that when you do the thing you love full-time, the effort to make it a viable business that keeps a roof over your head quickly turns your labour of love into nothing but hard labour. So here’s the alternative work / life strategy Azzarello recommends to her clients. So how can you feel less tortured? Start by recognizing that your job description isn’t a life sentence. You can change it. Find the sweet spot where you what you enjoy most and do best overlaps with the biggest business needs facing your employer. If you want to move up the ladder of success, you need to appreciate the critical difference between outputs and outcomes. While it may be tough to hear, know that no one really cares that you work 16 hour days and haven’t taken a vacation in four years. Workhorses don’t get promoted. Career advancement goes to those who find and deliver more effective, efficient and productive ways to get the most important jobs done. To focus more time on value-added work that’s good for you and your employer, Azzarello recommends setting ruthless priorities. Chances are, everything on your forever expanding to-do list seems really important. But with each task and project, ask how bad it would be for your organization if you failed to deliver. The handful of tasks where you absolutely must succeed become the ruthless priorities where you devote most, if not all, of your time and attention. Do that and your superiors will also start to pay attention to your potential and future career path. All of these strategies are part of Azzarello’s three steps for advancing your career, standing out as a leader and liking your life. Step one is about doing better and producing exceptional results. Step two is about looking better by building your personal and professional credibility. Step three is about connecting better with a broad base of supporters who can offer you a ton of help on your road to success. You’ll find a wealth of common sense and some counter-intuitive advice in this book. Azzarello , who was 33 when she became the youngest general manager at Hewlett-Packard, 35 when she ran a billion dollar software business and 38 when she became a CEO, shares all her secrets and lessons learned. 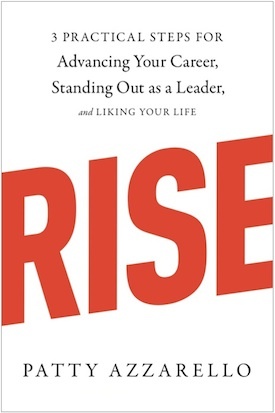 This is essential reading for anyone looking to join or move up the management ranks. This review first ran in the Oct. 9 edition of The Hamilton Spectator. Pick a Hamilton hot topic that gets you fired up. Maybe you’re passionate about two-way streets, casinos or the fate and future of the eight young women at Lynwood Charlton Centre. You’re passionate about these issues. But are you persuasive? Can you win people over? Or do you just preach to the converted, do character assassinations on nonbelievers and anonymously rant and rave to yourself on social media? Imagine you have three minutes to privately bend the ear of a key decision-maker or opinion leader. Would you know what to say and how to say it? Would you throw a strike or a ball? Would you be bold or boring? Compelling or confusing? Could you win a longer meeting with a larger audience? Too many of us succumb to what author Terri L. Sjordin calls the data-dump syndrome. We bury our audience in facts and stats. We cite study after study. If we’re lucky, we inform and educate. But we never persuade and inspire. Sjordin’s put together a speech outline that starts with a clear introduction followed by a set of three key points, a succinct conclusion and a powerful close. Your introduction grabs attention. You let your audience know where you’re going and what you hope to accomplish in the next three minutes. The body of your presentation makes a persuasive case with three main points supported by strong arguments and illustrations. Your conclusion summarizes what you’ve just said and then leads to your call to action. What is it that you need and want your audience to do? They build solid, persuasive cases and employ clean, logical arguments that support their messages. They’re creative in illustrating their talking points, blending thoughtful analysis with storytelling to win both hearts and minds. And they deliver their messages in authentic voices. They speak with rather than at their audience. 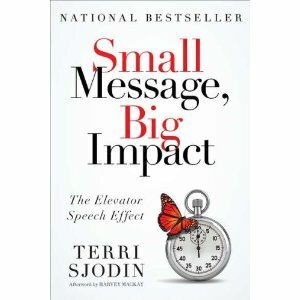 “Truly memorable, impactful, persuasive and effective speakers and presenters hit all three benchmarks,” says Sjordin. Ronald Reagan is regarded as one of America’s best presidential speakers. Sjordin learned a little known fact about the Great Communicator from John Fund, an award-winning political writer for the Wall Street Journal. So if there’s a topic you’re passionate about, spend three weeks working with Sjordin’s outline. Craft yourself a compelling and persuasive elevator speech on an issue or idea you care about. Practise, practise, practise. And then seek out opportunities to make your pitch and argue your case with the people who can help you make a difference.